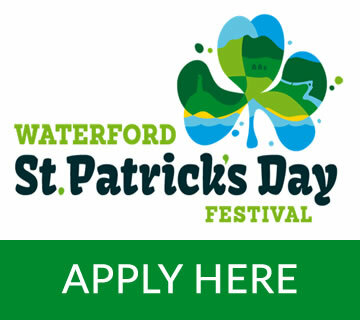 To process applications for the 2019 St. Patrick’s Day Parade in Waterford City, Waterford City & County Council is using the Licences.ie system, which is provided by An Post. Organisations/Groups/companies wishing to participate in the Parade must use this system to register. Please use the button on the right to apply.